Phant Extracts Vape Pens reduce the amount of tar, increase the amount of flavor, and limit the amount of lung irritation you’ll experience. The overall effect is a clean smoke that gets you high without all the coughing or mess. It gives you a very slow, subtly increasing high that makes you feel amazing. It’s a pure and clean way to enjoy THC without having to deal with the sometimes-strange taste of herbs. Will work with Phant, Pennybags, Phyto 2.0, Sovrin and Next Level tips. For Next Level tips, keep voltage at 3.3. Will NOT work with Erba tips. 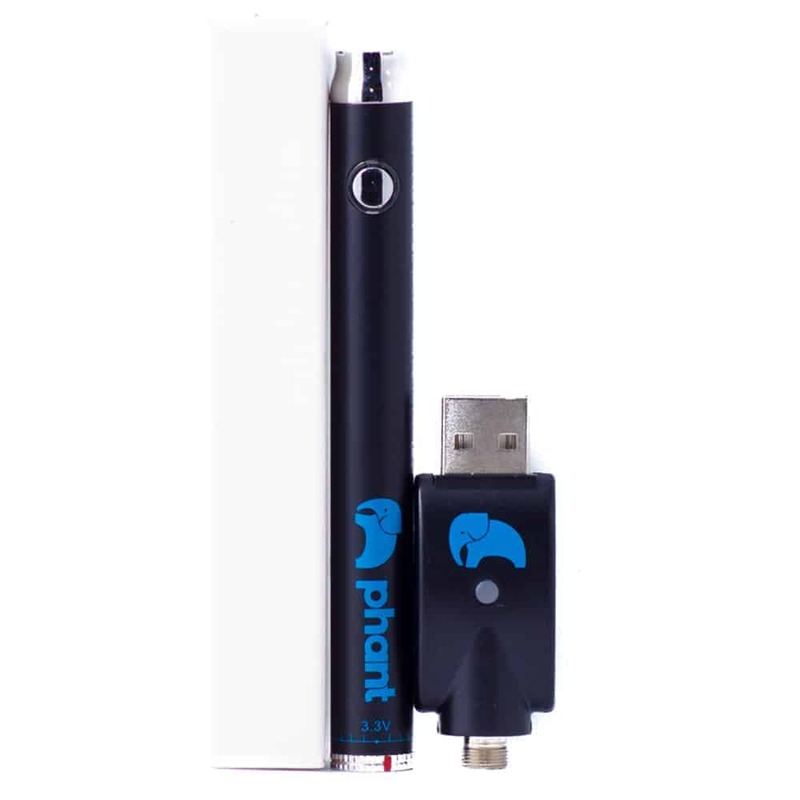 8 reviews for "Phant Extracts – Vape Pen Battery Kit"
Thanks Gold Buds you’re the Best! Really nice well made pen. Long lasting battery that’s for sure and it’s one of the better looking pens out there, definitely. Very good option for stealth smoking (Smells just like berries) Tastes yummy and is a great high i love it. Good little battery for the price! Works good! As you can see others say the battery charges fast and it does like wow! Good product for the price!